Michigan's eighth graders will face a change in mandatory state tests starting this April. They will take the College Board's PSAT 8/9 in math and English Language Arts. The new test will replace the M-STEP test previously required of eighth graders for these subjects. Eighth graders will still be required to take the M-STEP test in science and social studies. The PSAT, which is already required of the state's 9th and 10th graders, is a practice version of the SAT test Michigan eleven graders must take. "The PSAT 8/9 would be more aligned to the SAT in grade eleven and provide a longer runway for students to prepare for success on that eleventh grade SAT exam," said Andy Middlestead, director of Educational Assessment and Accountability for the Michigan Department of Education. Middlestead said by taking the PSAT 8/9, Michigan eighth graders will be able to access various College Board tools that might help them prepare and practice for success in their subsequent assessments and in the SAT in eleventh grade. According to Middlestead, Michigan is the first state to require the PSAT 8/9 for eighth graders in math and English Language Arts. Critics say switching to the PSAT 8/9 will make it harder to measure whether eighth graders have mastered the skills expected of them - and harder to compare their performance to eighth graders in other states. "Michigan policy makers have changed the state assessment several times over the last few years. And with each change, we're asking our teachers to do something different, we're measuring our students in a bit of a different way," said Brian Gutman, spokesman for the Education Trust-Midwest. "And one of the results of that is that we have gaps in data where we're not able to understand student learning and student improvement." You can see a description by the state Department of Education of Michigan's system of educational assessment here. Standardized testing may become less standardized for Michigan students. The Michigan Department of Education recently asked federal department to allow up to 5 percent of Michigan school districts to create what they are calling "locally-determined innovative assessment systems." In their proposal, the department says qualifying districts could essentially create their own test, and then choose to use these new systems in place of the statewide assessment, the M-STEP. When it comes to standardized testing, Michigan’s students don’t seem to be performing any better than in recent years — or too much worse. The Michigan Department of Education released the results of the 2018 M-STEP test Wednesday. 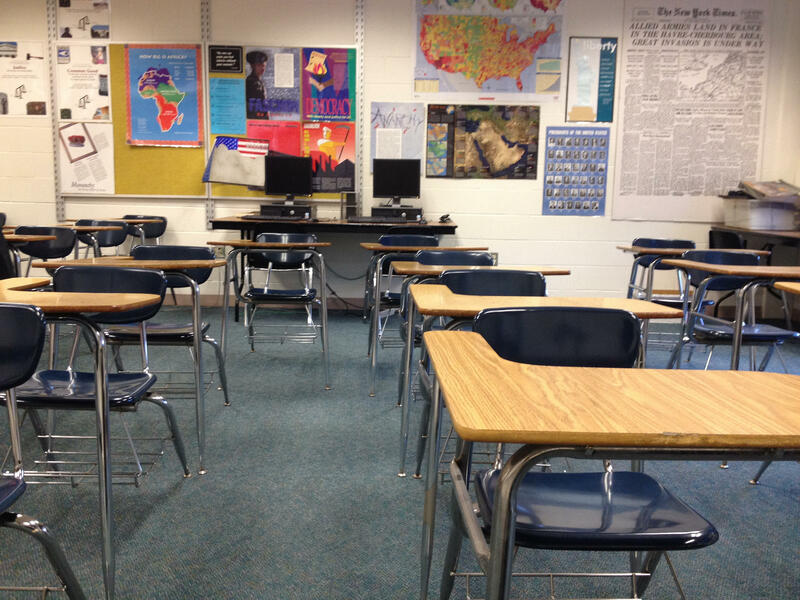 Michigan students struggled with the state’s new standardized test. The Michigan Department of Education on Tuesday released the first results from Michigan’s new M-STEP test which replaced the MEAP.